Embrace the perfect amalgamation of style and comfort by wearing this skater dress from the house of Vero Moda. It has been crafted with care using a fine quality fabric, which makes it comfortable to wear. Besides, it flaunts a solid pattern that lends it a distinct appeal while the eyelet detailing further enhances its overall look. 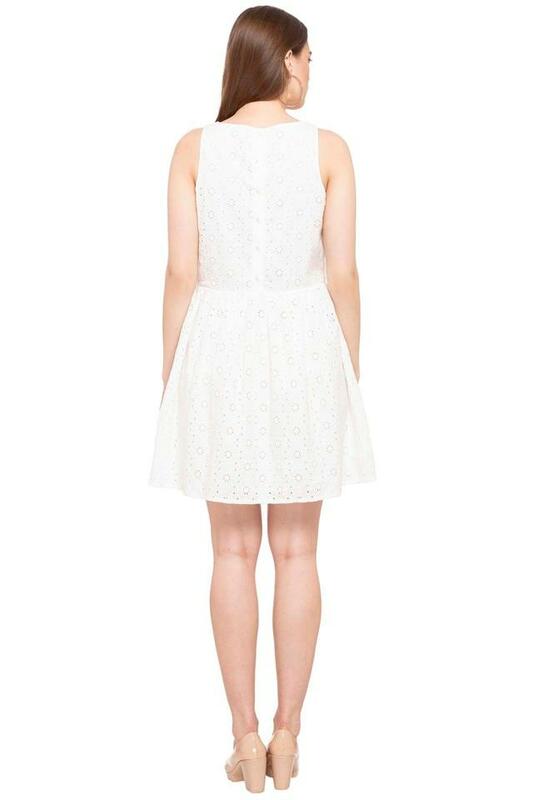 Get ready to be overwhelmed with a flurry of compliments by wearing this elegant skater dress. You can club it with a pair of heeled sandals to look classy for any special occasion.